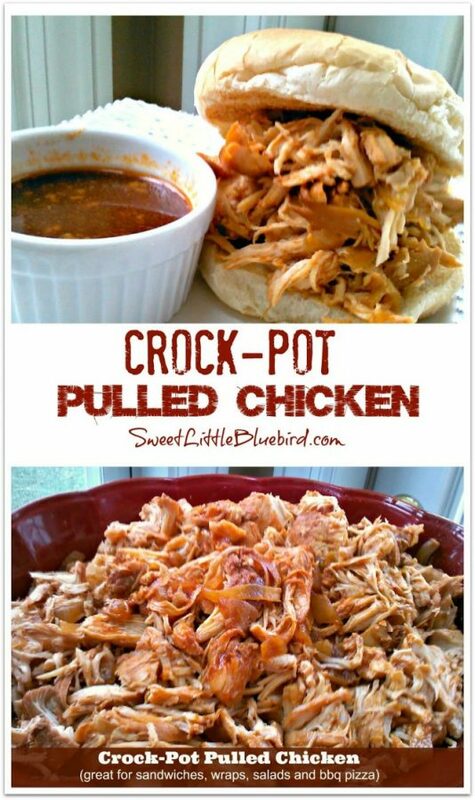 Today I am sharing a great recipe for pulled chicken in the crock-pot! 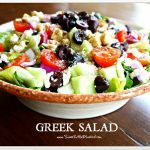 This delicious recipe is perfect for sandwiches, wraps, salads and pizza. 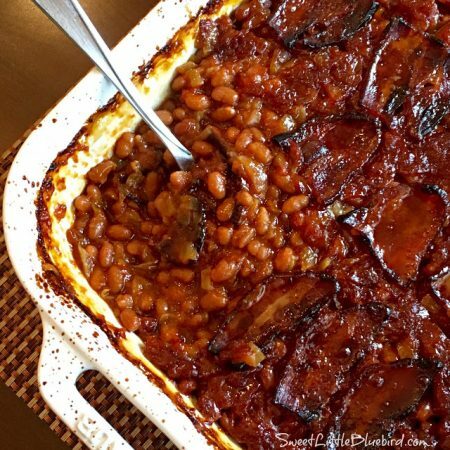 This simple recipe makes wonderful leftovers! Spray crock-pot with non-stick cooking spray. Place chicken in crock-pot. Mix the rest of the ingredients in a bowl, pour mixture over chicken. Cook on low for *7 to 8 hours. When ready, remove chicken from crock-pot, leaving the sauce behind. Shred chicken with a fork. Once chicken is shredded, add some of the sauce from the crock-pot (the sauce is loose, no thick), using desired amount, coating the chicken well. Serve chicken piled high on your favorite bun, roll or wrap, topped with your favorite toppings. 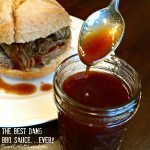 Pour some extra sauce in a small bowl for dipping! Enjoy! 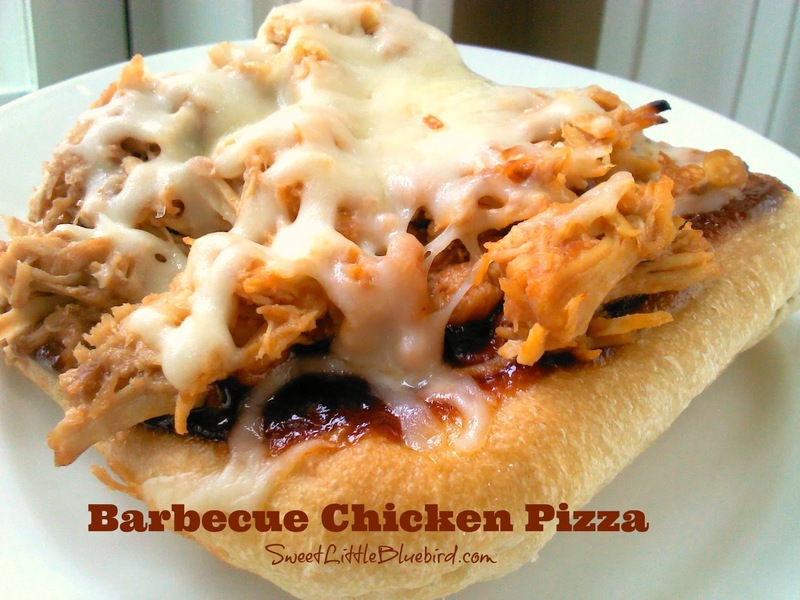 This chicken is also great for salads and bbq chicken pizza. See pizza recipe below! 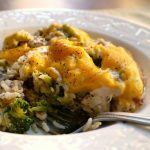 Each crock-pot cooks differently – be sure not to over cook. Check chicken around 6 1/2 to 7 hours into cooking. Preheat oven to 400 degrees F (or follow directions on your store bought pizza crust). For the pizza above, I used a frozen loaf of Rhodes bread dough. I thawed the dough the fast way according to the directions on the bag and pre-baked the crust in a greased 13×9 baking dish. Once the dough/pizza crust was ready, I topped it with Sweet Baby Ray’s BBQ sauce, pulled chicken and lots of mozzarella cheese. Placed it in the oven on the middle rack and baked it for 15 mins. So Simple! So Good! *Pineapple and bacon are great on this pizza! How many does the crockpot pulled chicken serve? Can I make this on high for a shorter time? Yes, Murina – it should only take 3-4 hours on high. Adjust cooking times according to how fast or slow your slow cooker, crock pot cooks. I love so cooker meals like this, so simple, and such little prep time. I'm gonna give this a try, and be sure to make lots of extras! Thank you, Karen, and thanks so much for the tip. I am all about safety first! I have read conflicting info on frozen meat in the slow cooker, but after reading an article on "Two Heathy Kitchens" I updated the recipe. Thank you! If I use frozen chicken, will I need to increase the time from 7-8 hours? Has anyone put frozen chicken in the crock pot with all of the sauce on top of it? How long should I cook it for? Well I don't know how I missed this one, but I did! I just made some pulled pork and it didn't turn out very well. I'm trying chicken next time and using this recipe. Like Amy…I use my crockpot all the time. Especially in the summer when I don't want to heat up the house! Thanks Mary! 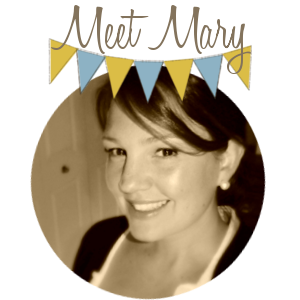 Hi Amy – I just updated my post on using frozen chicken. 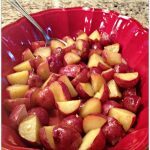 "Quick note on using frozen meat in the crock-pot – For years I have used frozen chicken in the crock-pot, following recipes from other sites and bloggers. After doing further research, I would NOT do this, even if you have been cooking frozen meat in your slow cooker for years. 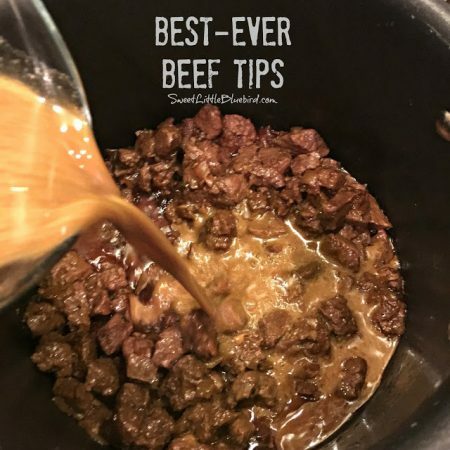 This post, Is It Safe To Use Frozen Meat in Your Crockpot, from Two Healthy Kitchens, does an excellent job explaining why it is NOT." see above in my post. 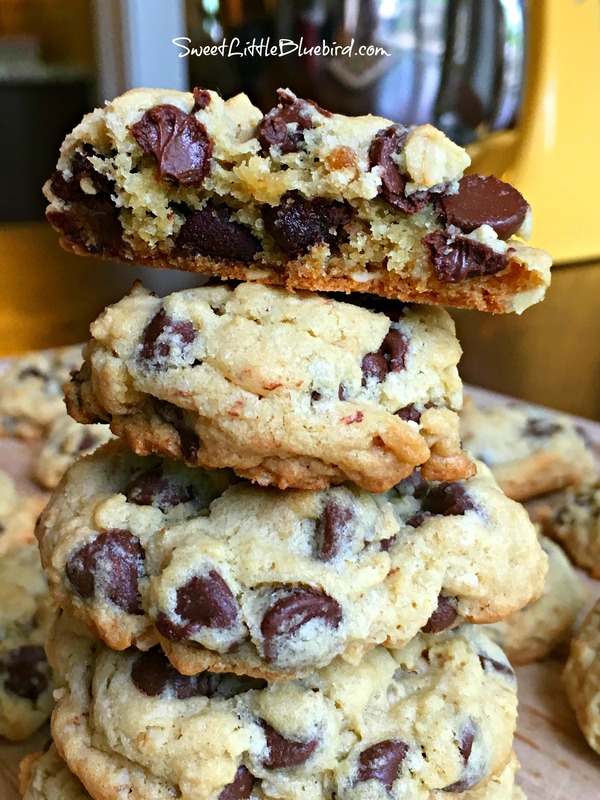 Oh my goodness this sounds awesome Mary!Yum!